The climate is moderate, despite the latitude, but cloud cover—Anchorage is one of the cloudiest places in the country—combined with short winter days make the area unattractive to many people. When the weather cooperates, beautiful scenery is close at hand and the outdoor recreational opportunities are among the best in the country. Cost of living is not as high on a relative basis as it has been in the past, and is offset by high incomes, absence of sales and income taxes, and a modest state-paid royalty from oil income help to offset the high costs. 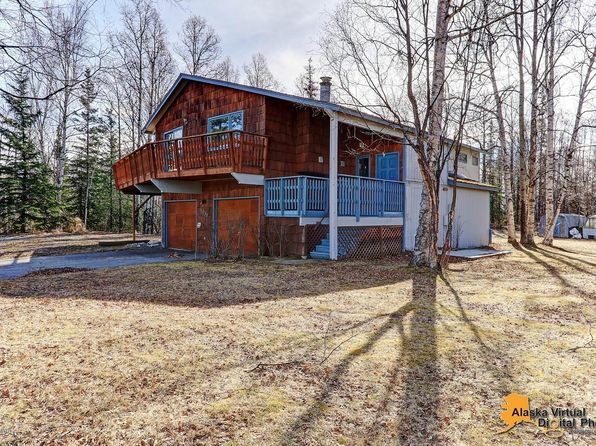 Anchorage is located in a stunning landscape with mountains and abundant water. The city itself is in a valley with terrain rising gradually to the east and marshes interspersed with glacial moraines and small streams. On the far eastern horizon, the Chugach Mountains rise abruptly to elevations up to 10,000 feet. The much higher Alaskan Range, including Mount McKinley, lies 150 to 200 miles to the north. Snowcapped peaks are visible most of the year. Anchorage’s climate is marine, but the Chugach Mountains block warm, moist air and precipitation from the Gulf of Alaska, but not the clouds. The Alaska Range acts as a barrier against very cold air from the north. Summer high temperatures average 60 degrees with lows near 50 degrees. During July and August, 2 out of every 3 days are cloudy and 1 out of 3 has rain, but the days are as much as 19 hours long. The brief autumn ends in October, with snow becoming more frequent during that month. Winter extends from mid-October through early April, with temperatures dropping below zero on clear days and reaching the 30’s on mild, cloudy ones. January highs are near 20 degrees with lows near 5 degrees. First freeze is early September, last is early June. #85 High Gas Prices - Which Cities are Hit the Hardest? 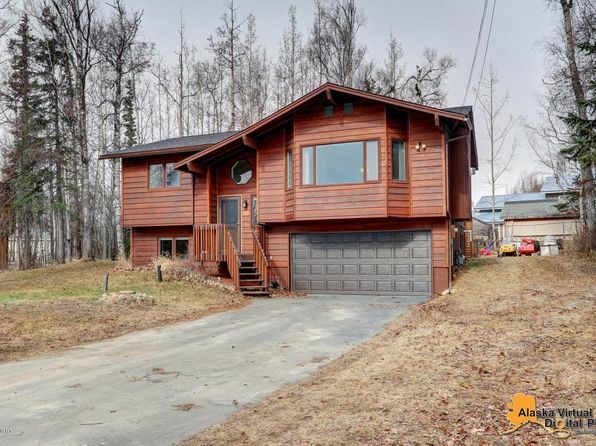 The median home price in Wasilla is $270,300. Browse Homes in this Range. 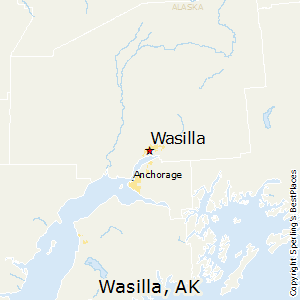 Compare Wasilla, Alaska to any other place in the USA.